Maui Mountain Roast is a bold coffee with subtle hints of wild berry and an earthy finish that is distinctly unique from other blends. It contains beans cultivated in the premier coffee growing conditions on the island of Maui. 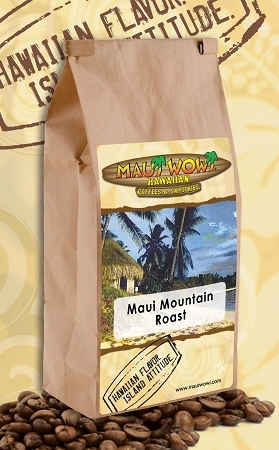 Maui Mountain Roast is a customer favorite and only available for a limited time. It is the perfect drink for fall to warm you up as the seasons change. The limited time offer of Maui Mountain Roast won't be around for long, grab a bag of this gourmet blend while you still can.